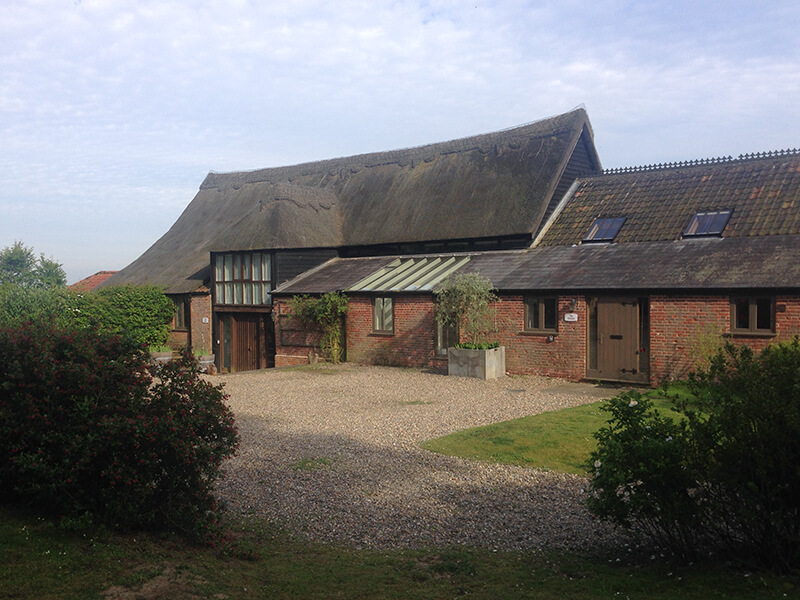 Many people in the local area and many people who have been customers of our Tearooms (Dingle Hill Tearooms) next door will know that Amanda, Nigel & Sophie have been working towards purchasing what was formerly known as Bridge Barns, Dunwich for the last few months. Having been the proprietors of Dingle Hill Tearooms for the last six years we were so excited to get the opportunity to expand our businesses and become the proud owners of such a beautiful piece of local history. The Barns were lovingly renovated back in 2001 from their original status as a fully working agricultural farm into a beautiful set of self catering holiday cottages. Rather excitingly we are also moving into the village of Dunwich as part of this new adventure – there is a stunning cottage called The Granary that used to be rented out as a holiday cottage that will now be the Barham family home making the commute to and from work at the Tearooms exactly 200 yards and taking less than a minute to walk! The official moving date of the 1st December 2017 will mean that the sleepy village of Dunwich has 3 new permanent residents adding on to the mere 60 that already frequent the village all year round. I do remember thinking that we really are our own worst enemies moving in December but we’ll find a way of getting everything all in and ready for the Christmas rush, we always do! Oh, and we have our first guests booked in to stay in Little Owl Cottage from the 2nd December 2017 so no rest for the wicked! Wish us luck!